A light gray boys t-shirt with a short sleeve and a round neck. 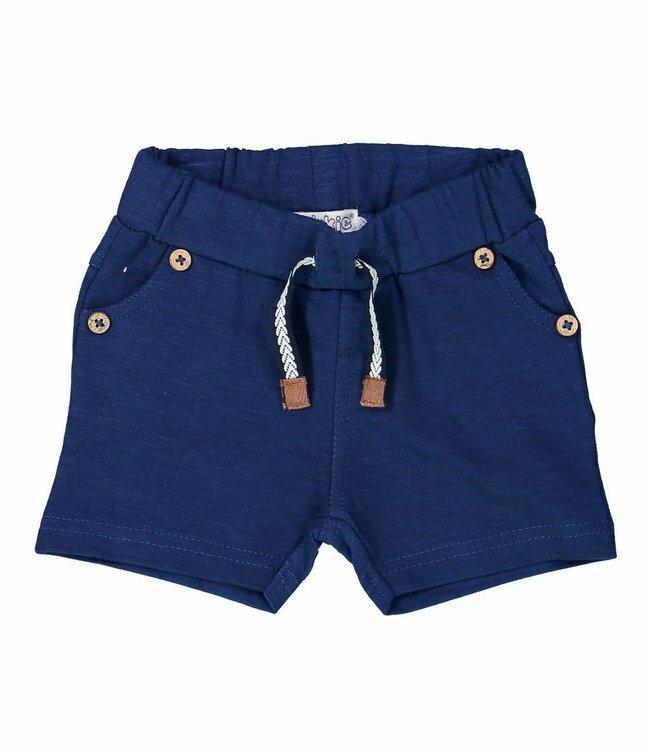 The shirt has a blue all over print of fish from the sea and a blue text: land and sea, king of the sea Read more..
Gray boys tshirt Land and sea of the baby and children's clothing brand Dirkje. 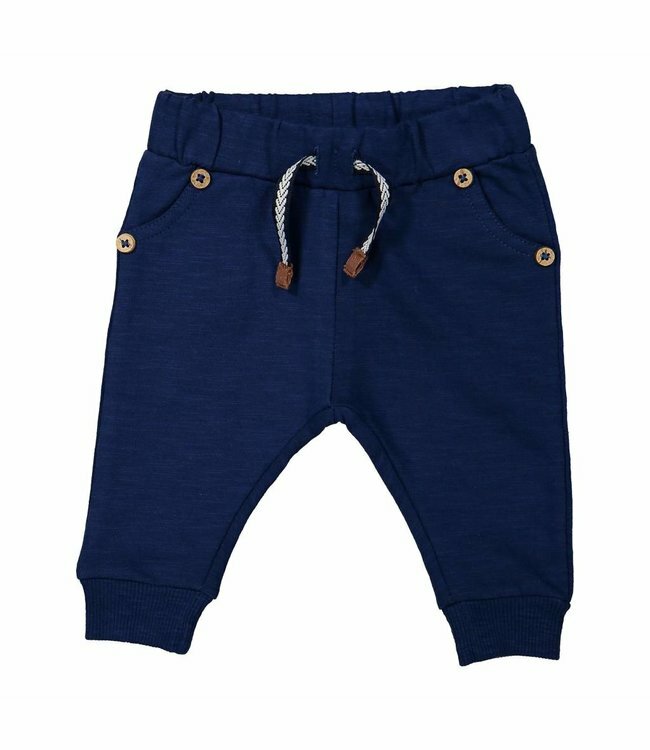 A blue boys pants without closure, with a wide elastic waist..
A blue boys short without closure, with a wide elastic waist..